We conducted research of the top 15 TVs and compared them against each other for performance, features, clarity of picture, sound quality, refresh rate and more. These three 40” TVs featured here came out at the top of the list in all those categories. Any one of them is perfect for your next television. 40 inch TVs are not excessively large but they feel much bigger than the 32”. Think about what you want to do on your TV (email, games, watch movies, etc) and then look for the 40 inch TVs that have those features. If you have a small TV currently, or even worse, you’re dealing with an old, bulky dinosaur of a television that has little to no features and weighs a ton, then you will want to take a look at these 40 inch TVs that we have featured here and look over the choices to see which ones fit your preferences, the size room you have and the budget you set. This full-array LED smart TV has arrived and with it a huge list of features that are sure to please even the toughest TV enthusiast. 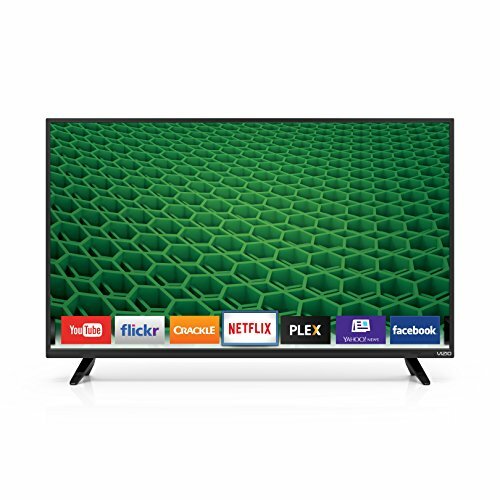 The VIZEO E40-C2 40” smart TV has a new modern design, exceptional picture quality and an easier to navigate and use Smart TV experience that is faster than ever. The built-in Wi-Fi helps users get connected in a split second whenever they want. There are plenty of great apps to choose from including Amazon Instant Video, Netflix, iHeartRadio, HuluPlus, Spotify, YouTube and many more. The LED backlighting creates superior light. There are up to 5 active LED zones that produce vivid, brilliant details and deep pure black levels. One of the benefits of the E-series from Vizeo is that it has Clear Action 240. This matches image processing with the 120 HZ refresh rate that provides excellent detail in any fast action scenes making watching sports a lot of fun and much more enjoyable. There are more than 2,000,000 pixels that form 1080p full HD that gives the user a viewing experience that is crystal clear and radiant. The built-in Wi-Fi, 2HDMI and 1 USB port along with a remote is included with the TV and allows you to plug in additional devices. You will enjoy beautiful picture quality along with the best entertainment when you purchase the Sony 40” Smart LED TV. The Full HD 1080p provides excellent detail and the Edge LED backlighting adds just the right amount of contrast. You’ll be able to watch videos from Netflix, YouTube, Huluplus and more with the built-in Wi-Fi. This TV has 2 times the clarity and sharpness of standard HDTVs so everything you watch is even more detailed and crisp. The Clear Resolution Enhancer adds texture and detail to the picture even in flat areas. The thin LEDs create a brighter picture than you usually get from conventional TVs that are LCD. The slim look also complements the décor of any home and creates the perfect viewing experience. The sprinters in this excellent TV produce clear, life-like pictures that have less blur so you feel like you’re watching from the sidelines rather than on television. The motionflow technology makes all the fast-paced TV action look natural. The result is a television watching experience that you will wish you had gotten a lot time ago. TCL is one of the most popular and best-selling brands of TV. Combined with the most popular streaming service, Roku, you will have the latest in technology and sleek design. Navigating the smart TV has been simplified so you have endless hours of entertainment at your fingertips. You’ll have over 2000 streaming channels with over 200,000 movies, TV shows, sports, news, music and so much more. TV watching will never be the same. Just like with your computer, you’ll be able to personalize your smart TV homepage to give you fast access to over 3,000 channels, cable TV, your gaming consoles and more. There’s no need for complicated instructions or menus because everything you want to watch is right there within your reach. Want a high definition display and advanced fresh rate? You have them, with this TCL 40” Smart LED. The dual-band Wi-Fi ensures that you catch every single detail of every single movie and TV show you want. The TV remote is super easy and has only 20 buttons which make it a lot simpler. Fewer buttons make this remote easier to use. Want to watch something from your phone on your 40” television? You can easily send photos, videos and more right to your TV. Use the voice activated search that is free and add a new means of searching for the things you want. TVs have changed a lot over the years. The capabilities and features they have enable the watcher to play games, check email, watch movies, sports, TV shows and listen to music at the push of a couple of buttons. With all of the choices available, choosing the right size and type of TV can be more than a little overwhelming. 40” TVs are almost considered small with the introduction of 55”, 60”, 75” and even larger sizes being almost common place. If you are outfitting a den or bedroom with a TV, the 40” TV is a great size to choose. Not overly small OR large, 40” TVs provide an excellent sized picture and aren’t expensive to purchase. We conducted research of the top 15 TVs and compared them against each other for performance, features, clarity of picture, sound quality, refresh rate and more. These three 40” TVs featured here came out at the top of the list in all those categories. Any one of them is perfect for your next television. What is a 40 inch TV? Larger TVs are very popular with consumers due to apps like Netflix, Huluplus and Amazon Instant Video. Everyone wants the perfect TV viewing experience and that feels a lot different on a smaller TV than it does a nice sized 40” TV. This is the perfect size for bedrooms, offices, and small dens. There are several factors that go into choosing the right 40 inch TV. Things like personal taste, budget, the space you’re putting the TV and the features you want it to have will all play parts in which model you actually end up choosing. We’ve outlined several points to think about and consider when sorting through all of the available choices. The importance of Picture Quality – Picture quality is very possibly the most important factor in choosing a 40 inch TV. The majority of shoppers consider picture quality THE most important factor in choosing a television set. You can have the most expensive TV in the store and if the picture quality is bad, it will be useless. The quality of your picture is what makes it very enjoyable to watch TV shows, movies, etc. Most TVs nowadays have many things in place, from the technology standpoint, to provide picture clarity, depth of color, sharpness, vivid colors and much more. It’s not easy to judge the picture quality of a TV but there are some things that you can look at that will give you the best possible chance of having that excellent picture quality that makes TV watching even more enjoyable. All TVs are not created equal and there will be a difference in picture quality from model to model. There are some standards that seem to be present when it comes to getting an excellent picture that you can look for. We have listed these standards below. Good picture quality reproduces the incoming source as closely as it can without altering the color, smoothness and other characteristics. With plasmas being out-dated and old-fashioned, most of the TVs that you will be looking at will be LCD or LED models. If the LCD or LED TV has local dimming, it will more than likely outperform the TVs that don’t have it. The best pictures have screen uniformity. This seems to be a common problem for LCD TVs, although with enough research you will be able to find models that do have this feature and ability. Color saturation, which is controlled by the contrast between colors and black level, is the next order of importance and then color accuracy. Another factor that will have an effect on picture quality is whether the screen is matte or glossy. If the room the TV is in is particularly bright room, a matte screen will provide the best results. A great glossy screen will preserve the black levels for a deep, detailed picture. Resolution, video processing, maximum light output and display resolution are factors that have less effect on the picture quality but still play a small part. Make sure that your TV isn’t automatically set on “Soap Opera Effect” which has a certain color that you may actually prefer to have turned off. Finding a TV with excellent picture quality will take some research and checking customer reviews and even visit a store that has TVs that you are interested in and see how they look in person. You will get much better deals purchasing online, but you can learn a lot by seeing the TV in person and that will help narrow down the TVs you look at online. TV Remote Controls – Some TV watchers have universal remotes that came with the cable box. If you aren’t going to be using that, look over the TV’s remote. It can make navigating the TVs capabilities much easier. Styling and Design – There are so many different types of 40” TVs on the market. The thin design of LED and LCD TVs make them much easier to decorate with because they can be hung on the wall (using a proper TV mount) or set on a table. They weigh less than ever before so you don’t have to break your back trying to move them. Some are designed with a curve; others are designed to swivel in the direction you want to point them in. The colors are fairly standard. For the most part, the colors of TVs are fairly standard: black, silver, chrome and maybe white. They can come with stands or be mounted to the wall. Connectivity – Connectivity is easier now than it ever has been thanks to HDMI. All you need to do is count how many devices you want to hook up and then make sure you have the HDMI ports to support the devices you want to connect. It’s a good idea to have one or two extra ports to allow for expanding. If you have an SD card slot you can you can display your photos that are right there on your telephone. Just pop the SDcard into the slot of TV to see your favorite family photos on 40” of excellent color quality television. With all of the choices in size, style, finish, price and more, finding the one 40” TV that you will love can feel like a challenge you may or may not win at. The good news is that there are many factors you can look at and weigh to determine how good a particular model is. 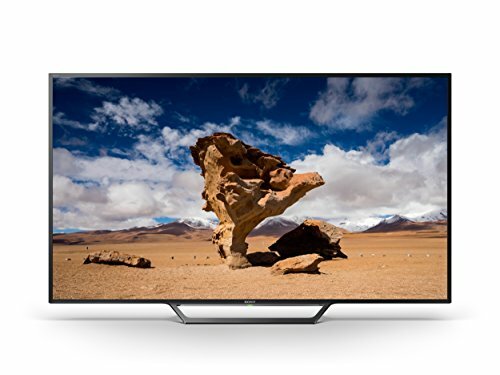 The information found in this buyer’s guide can help you understand what makes a good quality 40 inch TV that will last a long time and that will provide you with all of the features and capabilities you want. With the right knowledge, sorting through the choices no long seems daunting. 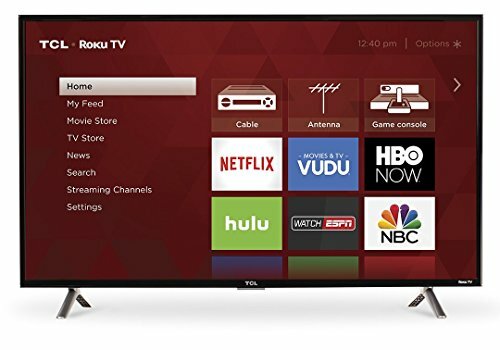 You’ll know what to look for, what to compare against other models you may be interested in, and how to choose the perfect 40 inch TV for your living room, den, office or bedroom.